I’m not only hooked on traveling, I’m hooked on watching travel programs on television. I’m not talking about the shows that are trying to get you to book a vacation with the sponsor, but the real behind the scenes, genuine and authentic versions. There’s been a great series over the past couple of years called ‘Amazing Hotels – behind the front desk’. The concept behind the series is that a chef and a restaurant and hotel critic travel to various hotels around the world and actually work in them. Well, I say work in then but really, it’s a case of shadowing various members of staff in their day-to-day tasks. 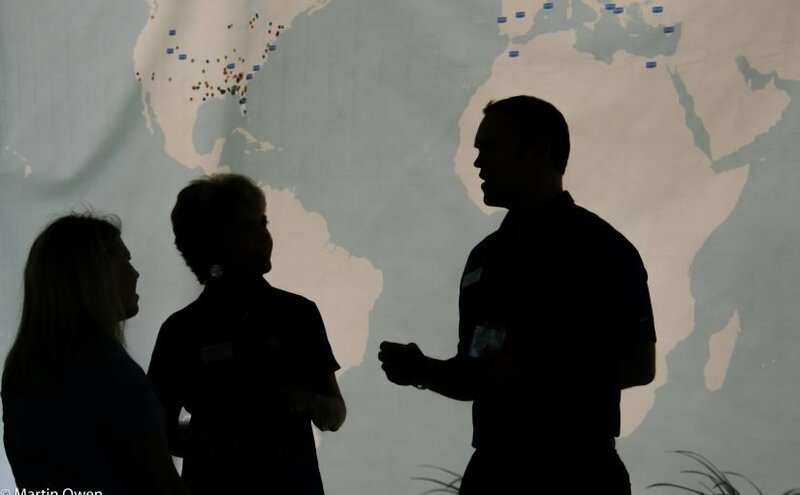 While this is happening, they gain insights into not only how those hotels work, but what the front-line workers think about the industry and the effect that tourism has on their lives. They’ve featured huge spectacular hotels in Singapore and Dubai, safari lodges in Africa, small and very expensive hotels in remote parts of South America and very remote lodges in Iceland. Over the past two years they’ve visited a wide variety of extremely different locations. Without exception they’ve found that working in the hospitality and tourist industry has had a profound effect on the local workers and………. I was flicking though a newspaper the other day, the UK’s Daily Telegraph, and article caught my eye – ‘Why it’s cool to be a tourist, not a pretentious traveler’ (Read it HERE). It got me thinking…. Firstly I have to confess I wasn’t physically flipping through a newspaper made out of crushed up trees, I was reading the on-line version. I suppose therefore I was simply bothering a bunch of electrons, but that added to pondering as to how our perceptions have changed. For example, does reading an on-line newspaper make me less of a reader? When we were actually reading a ‘paper’ paper, our eyes would fall on stories that wouldn’t immediately be our target interest. That expanded our reading list and maybe we found opinions that we didn’t agree with, or subjects that weren’t initially in our wheelhouse. It did give us a wider knowledge and leave us open to new thoughts and opinions. It broadened our view. These days we tend to select our interests and have the electrons present us with just what we expect and with which we are comfortable. Maybe we sit in a little bubble of our own making? Only exposed to our own interests and views. How does this relate to the traveler versus tourist issue? The article pointed out that some folks consider themselves to be more sophisticated than the average and therefore their wanderings were in some way superior to your run of the mill tourist. The ‘travelers’ (actually it was a British article, so they were ‘travellers’ with two Ls!) considered that their experience was somewhat superior to a tourist. Along with the author, I initially thought this attitude was pretentious in the extreme. 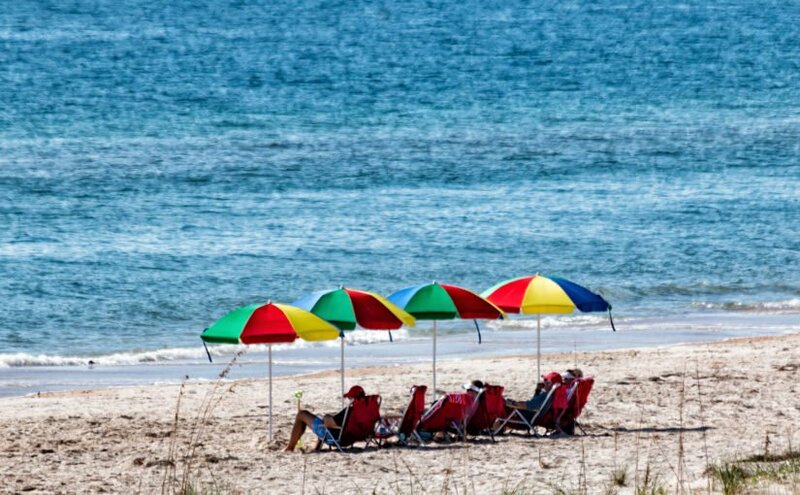 As an aside, a number of areas around Florida have names like The Forgotten Coast, The Space Coast, The Emerald Coast etc. There’s one area I’ve always called The Pretentious Coast. Any ideas where that may be? While it’s true that someone who travels, is a traveler, and a tourist is by definition “A person who is visiting a place for pleasure and interest, especially when they are on vacation”, there do appear to be a whole bunch of different types of tourists. There are those who visit an area to gain extra knowledge, cultural tourists, eco-tourists, adventure tourists, even health tourists traveling to seek medical attention they can’t get at home. One assumes these all gain something from their experience and hope that they also contribute to the local economy or culture. Certainly the hope is that they do not purposefully detract from the place they are visiting. There is a type of tourist that actually does little or nothing for either the area that they visit or for themselves it would appear. I’d suggest that these are folks that travel to a destination but then behave just as they would at home or possibly even behave in a way that wouldn’t be accepted at home. These would be the ones that bring everything with them. They experience nothing of the local culture, and contribute little to the local economy. They may be the ones that just come to party uncontrollably, ending up in jail, hospital or worse. Now, each to his own and I wouldn’t dare to suggest that what one person finds fun is the only way, but it does strike me that there are various levels of tourism. Some are more desirable to a destination than others. I’m sure The Machu Pichu Tourist Board wouldn’t target bachelor or bachelorette parties, but on the other hand would Panama City Beach expect to receive too many groups studying the works of da Vinci? Without a doubt some travelers get more out of their experience than others but would we term them Travelers as opposed to Tourists? What’s wrong with being a tourist? A recent article in a newspaper, The Economist, highlighted the changes that are happening in New Orleans. The Crescent City is local to Northwest Florida in that its only a four hour drive away and the culture (Mardi Gras for example) and cuisine of the City, and Louisiana in general heavily influence the Northern Gulf Coast. 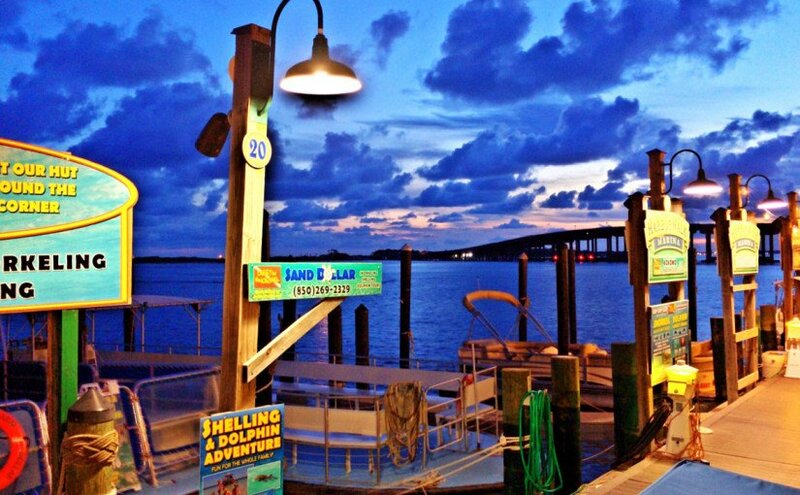 It can be said that Northwest Florida is closer in temperament an culture to NOLA, than it is to the rest of Florida. Orlando, which many international travelers see as ‘Florida’ is after all a six hour drive away and shares little in culture with the Panhandle. and administration is attempting clean up the city’s act. 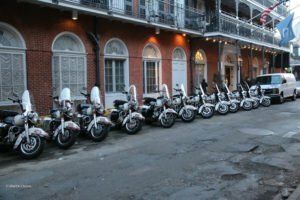 New Orleans is famous for (admittedly among many other things) the free wheeling nature of the French Quarter in general and Bourbon Street in particular. 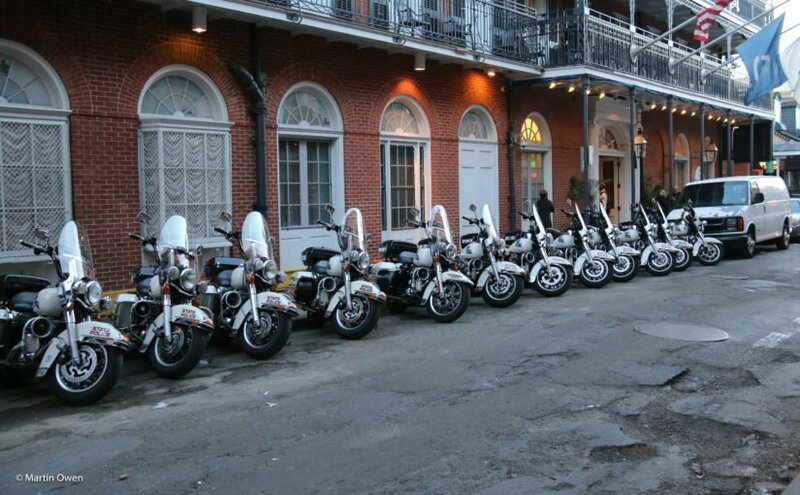 Over recent years the French quarter has become a center for Bachelor and Bachelorette parties. 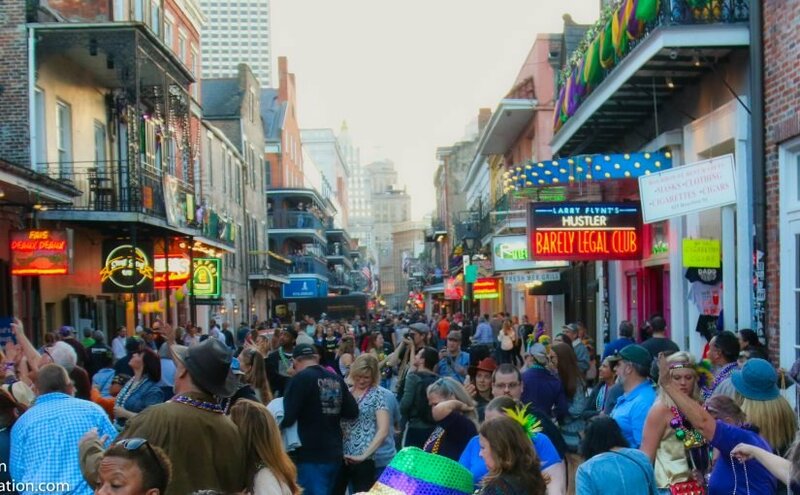 Most of these at some stage gravitate towards the bars and music joints along Bourbon Street where they seek out the ‘genuine’ flavor of the old city. Now the Mayor, understandably, wants to make sure that visitors are both safe and legal. There is a backlash against the cleanup with the slogan ‘Bourbon Street not Sesame Street’. As the article points out, some of the workers in the area question just how illegal the activities actually are and offer the suggestion that by changing the place, people may be put out of work or worse, moved into activities that really are beyond the pale. Many years ago Bugis Street in Singapore had an equally salacious reputation. During the ‘50s and through to the ‘80s the street was famous for its nightly gatherings of the local transvestite population. It became one of Singapore’s main tourist attractions. Not somewhere one would recommend to your maiden aunt for a visit certainly, but it did contribute much to Singapore’s tourist attraction. Bugis Street is still there but was cleaned up during the ‘80s and ‘90s and is now one of the places famous for low cost clothes and a tourist attraction in in its own, new right. From a tourism and moral point of view there can be no justification for illegal activities. However is there perhaps a very fine line to be trod between sanitizing and destroying? What would Las Vegas be without gambling for example. A few years ago New York City decided to make Times Square more family friendly and threw out the dubious bars and entertainments. It doesn’t seem to have affected it’s ability to draw tourists although I would question if the area, particularly in the late evening is a place for visitors of a shall we say, a nervous disposition. We visit New Orleans frequently and stay in the French Quarter. We walk around the area at night and although we cross Bourbon Street we tend not linger and never visit the bars and music joints. We know they’re there of course and don’t begrudge their patron the thrill of an authentic experience, providing they know what they’re doing and keep their wits about them. Our third president, Thomas Jefferson said “Beer, if drunk in moderation, softens the temper, cheers the spirit and promotes health.” He could have course said the same thing about tourism, particularly if combined with beer! I recently visited Asheville, North Carolina, on a research mission – OK, it was vacation but I’ll stick with my story. We took in tours of a couple of breweries – New Belgium and Sierra Nevada both have large establishments there. These are craft brewers, albeit big ones who needed to have presence on the East Coast. Both companies started up out west and have found the combination of location, water supply and culture in Asheville matched their needs. There are also smaller brewers located in the area along with hard cider makers. The interesting thing is that these companies have become an integral part of the local tourist industry. This article appeared in the Northwest Florida Daily News on Tuesday, May 2, 2017. 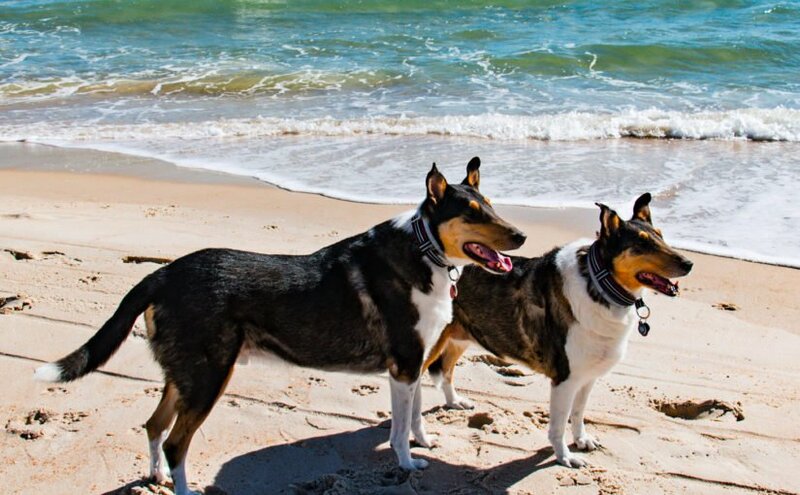 Like other parts of Northwest Florida, Okaloosa County could attract a lot more economy-boosting visitors by opening a portion of its beaches to dogs. That’s according to Martin Owen, a Shalimar-based tourism industry consultant who regularly attends Tourist Development Council meetings. County Marine Economic and Tourist Development Resource Coordinator Erika Zambello shared information with the TDC on Thursday about dog-friendly beaches in Walton County and Pensacola Beach in Escambia County. But she said she has not had any discussions with other Okaloosa County officials about establishing a dog-friendly section of beach. 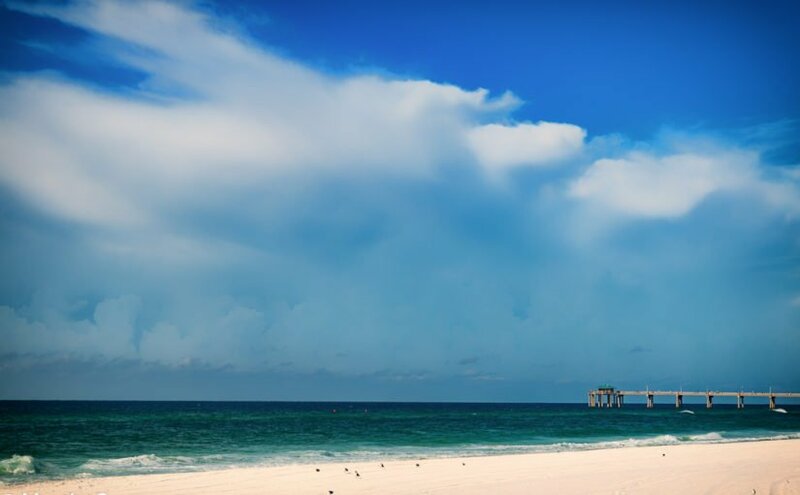 With the exception of service animals and police dogs, dogs are prohibited on the publicly owned beaches of Okaloosa County, Destin and Santa Rosa County. 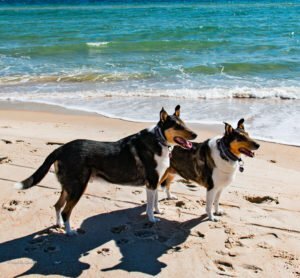 In Walton County, property owners and permanent residents can bring their leashed dogs on the beach during certain hours and with a permit. People who violate Okaloosa County’s law pertaining to dogs on the beach could be cited with a fine of at least $100. But such citations are rarely given, county officials said. Usually, sheriff’s deputies will ask violators to remove their dogs from the beach and the dog owners do so without a problem, county spokesman Rob Brown said. This article first appeared in the Northwest Florida Daily News on Sunday, April 16, 2017. I’ve discussed recently the many changes that are coming to our local tourist business — generational changes, increases in fly-in visitors, a demand for better level of service and value, etc. I think we’re all surprised by the speed of these changes, thinking that it will take years for them to actually affect our daily lives. However, look how fast Uber, Airbnb and similar new products have altered the landscape. Back at the end of March, British Airways started to fly non-stop to New Orleans from London, bringing four flights a week. Later in May, Condor, the German airline, will have two flights a week from Frankfurt. While British Airways is banking on a mix of business and leisure travelers, Condor is aimed squarely at the vacation market. 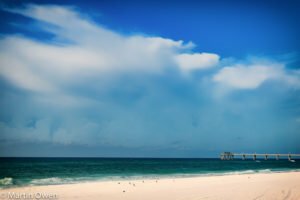 These two new routes add to the already existent Toronto flights, routing vacationers into the northern Gulf of Mexico region. There may be no immediate effect on Northwest Florida, apparently giving plenty of planning time. We just spent a long weekend in New Orleans, which is one of my favorite cities. It’s totally unique. I was first introduced to NOLA in 1972 as a young travel agent on a U.S. tour (seven cities in 10 days!). Being taken to Bourbon Street as a 20-year-old was quite an eye-opener. Luckily my wife lived in New Orleans for quite awhile and really is “local,” so we’re not exactly tourists when we visit at least four times a year. The city is a real case study for tourism, joining an historic center with a mix of cultures plus being a living, thriving business hub. 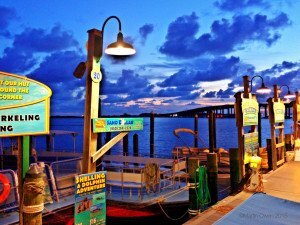 It has nearly year-round tourism, although the local businesses are only too aware when they have fewer tourists. The Crescent City is known world over for Mardi Gras (or Carnival, as the locals term it) which is both a blessing and a curse as it attracts enormous numbers of tourists. Those tourists tend to consider partying an Olympic sport, which adds a whole new level to tourist management. Natural events like Hurricane Katrina also have put an added strain on the city, and its recovery from a tourism point of view has been nothing short of remarkable. Daily News ‘Talking Tourism’ column. Digital is essential, but tourists still want human interaction. Did you know that just 14 percent of Snapchat users are over 35 years old, where as half of Facebook users are over 35? If you asked what Snapchat is, then I guess you must be nearly as old as I am. The thing is that in tourism the digital world is where everything is happening. It’s been that way for a while and digital, particularly mobile devices, are leading the way. Google has seen a 50 percent increase in travel-related searches over the past year on smartphones — not tablets and laptops, but smartphones. The younger travelers, millennials and centennials are committed to their phones and their influence on old travelers is very strong. Parents and grandparents are going to the youngsters for advice and research. These groups also love images and video. Instagram is the favorite social media channel for 33 percent of U.S. teenagers compared with only 14 percent for Facebook. YouTube reaches more people between the ages of 18 to 49 than any network TV or cable provider. YouTube reports that interest in travel-related video is up 60 percent in the last couple of years. Some time ago, I wrote a blog about how I learned to love tourists called, “I’m not a Grockle, I live here.” (You can find it at http://ow.ly/Ps7k308ciuD, if only to find out what a “Grockle” is!). Having grown up in a small, historic country frequently visited by camera-wielding tourists, you quickly learned to embrace, rather than fight, human curiosity. One of the major factors affecting world tourism in the coming years will be what’s termed “over-tourism.” We’ve seen the 300,000 residents of Iceland struggling with 3 million tourists a year. It’s almost impossible to buy a home in Venice and the city has almost become a tourist theme park. Machu Picchu, the Inca city situated 8,000 feet up in the Peruvian Andes, has been forced to restrict tourist numbers at certain times of the year to avoid destroying the world heritage site. These are extreme examples, but there is a need to manage tourism. It’s a process called Sustainable Tourism, which aims to ensure that development is a positive experience for locals and tourists while helping to generate future employment and……..
Read the rest of this article at here. Many people suggest that Sir Winston Churchill said ‘England and America are two countries separated by a common language’. Most sources agree that it was actually George Bernard Shaw who said it first, although Churchill probably either repeated it, or said something similar. Whatever, bringing Sir Winston into the story helps me later in this blog, so stick with me! The fact that ‘English English’ and ‘US English’ share many common words and phrases that have subtle (and not so subtle) differences in meaning and spelling, should give anyone in the travel, tourism and hospitality industries pause for reflection. If you’re reacting to a guest from somewhere else, then be mighty careful what you say, how you say it, and how it’s interpreted. There are the obvious differences most of us in these industries know about – elevator/lift, sidewalk/pavement etc., but what about the more subtle variations? To a Brit the floor of a building at street level is referred to as the Ground Floor, to an American – First Floor. Consequently the American’s first floor is the Briton’s second floor and so on. When the Englishman requests a room on the first floor, don’t tell him he can sleep in reception! Taking a laundry order? To an American they’re pants, but to a Briton they’re trousers. The Britain’s pants are the American’s (under) shorts. Vest? Another mix up. Braces/suspenders – a whole new can of worms. Even within the USA there’s a cultural and regional mixup between soda/pop, median/neutral ground (the Englishman’s Central Reservation!) and many others. …and those are just cultural differences between folks who suposedly speak the same language. Differences of which the hospitality or tourism professional needs to be aware. Just imagine what could happen with people who speak totally different languages, or who were taught your common language by a a foreigner, if you get my drift. Then there are the non-verbal communication issues and the cultural nuances of behavior…. Be careful how you accept a business card given by someone from Japan. Their cultural expectation is that you will receive the card respectfully, study it closely for a few seconds and the either place it in a business card holder or in your wallet. Taking the card and sticking in your pocket, or worse putting on the table without reading it is grossly unacceptable and plain rude. Personal space? 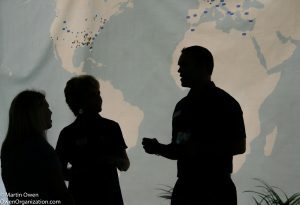 Westerners expects two or three feet around them, but many Asians and Africans are much closer. Many Europeans will kiss on greeting – but be careful as there is a strict code of how many kisses on the cheek you’re entitled to. Never expose the soles of your feet to a Thai, it’s incredibly disrespectful. Never sip vodka with a Russian. Vodka should, in Russian culture be ‘downed in one’. It’s incredibly important that our hospitality and tourism folks are made aware of these cultural nuances if they are ever to encounter a guest from a different country or culture, or indeed if we are going to be tourists elsewhere ourselves. Even making a assumptions is fraught with danger. Just because someone speaks French doesn’t mean they’re French. A Belgian is not going to be amused to be taken for a Frenchman, any more than Canadians and Americans like being lumped together. Call a Scotsman English (or vice versa) and you’re in for big trouble. Same with Aussies and Kiwis. Oh, and never belittle an Australian sports team – ever! This whole cultural thing extends to gestures, those little things we do with our hands – thumbs up, OK sign, hang loose and such. Well, although these maybe fine in your culture, they are often incredibly insulting or rude to others. Even the simple ‘come here’ gesture means something REALLY bad in many countries. It can be in a interesting an often amusing subject, but it stresses that if you’re training hospitality or tourism people they must take cultural differences very seriously. Even if you’re not planning on having a large number of out of area visitors, it takes just one one offended tourists to tell their contacts that ‘we’ behave badly. Even the action of making fun of someone’s accent, or the way they phrase things, indicates an immature grasp of cultural differences. You’ve seen photos of him doing his V-for Victory two fingered salute, but how many of you (non Britons) have really seen how he did it? First and second finger held up, thumb and remaining fingers curled into the palm and the palm facing the audience.That’s important. Many non-Britons will indicate ‘I want two of those’ by holding up the same two fingers but with the back of the hand facing towards the audience. A big no-no! The (probably urban myth) story goes that during the 100 year’s war in the fifteenth century, when the English and the French were constantly at each ether’s throats, there emerged an instrument of mass destruction – the English Long Bowman. 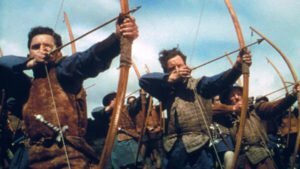 So successful were the English Bowmen that at the Battle of Agincourt (1415) the English lost only 400 men compared with 6000 French, despite being outnumbered more than 3 to 1. The French threatened that if they caught an English bowman, they would cut-off the two fingers that they used to draw their bow string. Consequently, it is said, the English bowmen raised a two finger salute in a V sign (not the Churchill version!) to the French showing they still had their fingers. 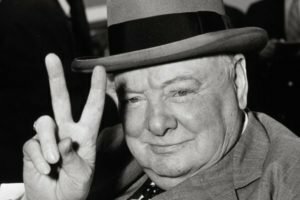 To this day the British use the V sign in much the same insulting way that Americans use the ‘bird’ single finger! You have been warned….. If you have any cultural ‘faux pas’ we should be aware of – pass them on. Copyright 2016, Martin Owen. All Rights Reserved.